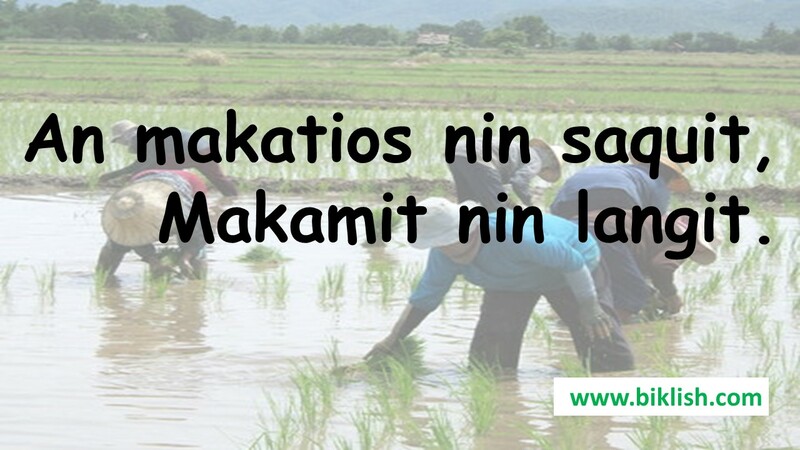 After posting the article “A taste of Limay, nata wara sa Albay?”, my messenger and e-mail was flooded with questions especially from local government unit (LGU) officials I have met from the different parts of the country. The most common questions are: How did the mayor do it? Why is he not recognized by award-giving bodies? To answer these questions, I conducted some diggings at the Commission on Audit (COA), the Department of the Interior and Local Government (DILG), and the Department of Budget and Management, and took all possible means to meet with the mayor of the municipality, Mayor Ver Roque, and other LGU personnel. For starters, Limay was in disarray when Mayor Ver took over. Despite being a part of an economic hub and industrializing province in Central Luzon, Limay’s strategic location and position was not maximized. Local governance services was only for a selected few, tax collection and local resource generation were low, and debt was high. The municipal debt in 2010 based on the findings of the Commission on Audit was P61.5 million comprising 30.75% of the total municipal income. Informal settlers then were quite a sight in the municipality along with children who were out of school. According to some of those interviewed, they were not interested to attend school because their rooms were not conducive to learning. Because Limay is a coastal municipality and one could imagine the hot air from the sea blowing inside the school rooms. A significant portion of the population was also sickly. Apparently, the health system was not efficient, and the efforts of the environmental management office was insufficient. Limay was and is home to key industries like the Petron Refinery which contributed somehow to the health condition of the population. 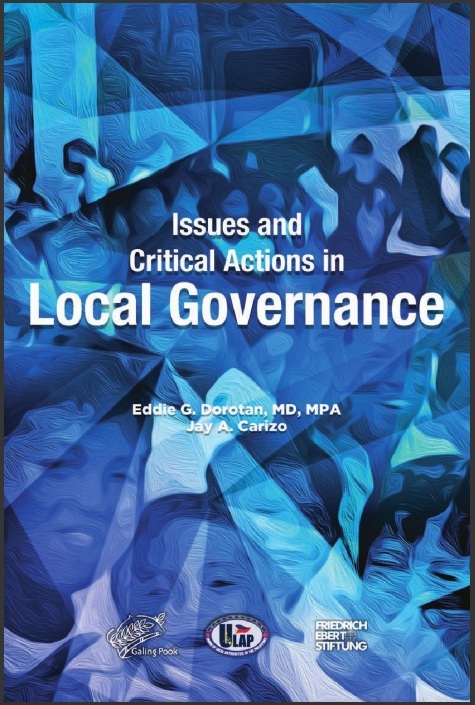 To address these, Mayor Ver used three major ingredients to transform his municipality – introduction of systems, reinforcing his efforts with his passion to serve along with the “hugot” from his personal experience, and exercising leadership based on the principles of playing golf – the game played on a large open-air course in which the players use clubs to hit a small ball into a series of holes in the ground. Mayor Ver is a systems guy and this could be influenced by his managerial and engineering background trying to make things easier at a lesser cost but at the same time faster. This explained why among the notable facilities he introduced was the escalator – not for his own benefit but for the people who visits the municipality especially the senior citizens and physically challenged. He loves simple solutions to somehow complicated problems. Because he also inherited some absentee employees and those who would exit after logging in, he ensured that almost all offices have walls made up of transparent glass. This facilitated attendance checking not just by the human resource office but also by the people who had transactions in the local government. A public address (PA) system was also set-up similar to the PA system in airports not only to call the attention of the clients whose documents are ready for pick-up but also the employees who are sleeping on the job or are outside of their work stations during working hours. To encourage the students to go to school, he used the Special Education Fund (SEF) to construct modern and airconditioned school buildings; and installed in some areas CCTV cameras so that the children are safe. More than this, the CCTV minimized misunderstanding between parents and teachers especially when the former complains about the absences mark in their children’s grading card. The unintended consequence, however, is that children would love to stay longer in their schools because of the airconditioned rooms. Second, and especially when morale is low, he would revert to his personal experience and passion to serve to lift up his spirits and reinforce his efforts. He said he repeated Grade 4 because instead of going to school that is non-conducive to learning, he found it worthwhile to help his father in their small construction business. So, this became his “hugot” to transform their school buildings and change the learning environment. He also said it pains him to see senior citizens visit the municipal hall and climb the steps to the second floor, or line up for their social pensions. Hence, the reason for the escalators and the ATM cards for the elderlies. Fortunately, I happened to observe him in one of his campaign sorties. Mayor Ver, by the way is running for governor of Bataan and is challenging the Garcia clan who ruled the province for more than two decades. Before his motorcade started, he went out of the lead vehicle and shook the hands of his supporters one by one braving the scorching midday sun without any umbrella or cap. I was planning to ask him why he would still waste his energy for a kilometer-long queue when in fact those are already his supporters but was not anymore given the opportunity. As the vehicles passed by, I realized Sun Tzu’s advice to the generals to always “feel” their soldiers and motivate them before they go to war. The motorcade scene, I was told, is just an ordinary scene because even in the municipal hall, Mayor Ver has a habit of reaching out and motivating his subordinates every time the local government starts implementing programs, projects and activities. The third and most important component in transforming the municipality is his concept of leadership which he described using the golf game. It was the first time I heard leadership described that way. More so, it was the first time that mood is considered as an ingredient to a good leadership. Indeed, good mood radiates and bad mood is infectious. If a leader is in a bad mood, the followers are always rattled leading to issues in the quality of outputs. To stay in politics, one needs public relations (PR) and one way to do it is to be on the halls of recognition. While Mayor Ver acknowledges this, he said that seeing his constituents reap the benefits of his administration’s efforts is already enough. But because fragrance always smell good no matter how covered, some Galing Pook board members are encouraging Mayor Ver to apply for the Galing Pook Awards. Mayor Ver and the LGU were also given recognition by business groups for streamlining the issuance of business permits; and, government agencies like the Department of Health, the Department of National Defense and the DILG also awarded the mayor and Limay for its social services. Lastly, the BLGF of the Department of Finance and the COA has repeatedly acknowledged the municipality for its local resource generation, efficient spending and good financial management. Apart from paying all the debts he inherited from the previous administration, Mayor Ver was able to increase five times, from P200 million to P1.02 billion, the municipal income in just six years – that is, from 2010 to 2016. These feats were published in the national dailies. Some may claim that Limay’s natural endowments could make a difference so the transformation of the municipality may not be replicable at all. For Mayor Ver, it is actually a double edged sword. At times, they are even a baggage because one needs to balance the interests of the local population, the locators and business groups utilizing such endowments, and the provincial and national politicians. When he was dealing with an establishment’s industrial waste, some of the provincial and national politicians have been calling him to be silent on the issue and let it pass. Whether these politicians benefit from the establishment, he did not say but clearly, they added up to the pressure and made things difficult. 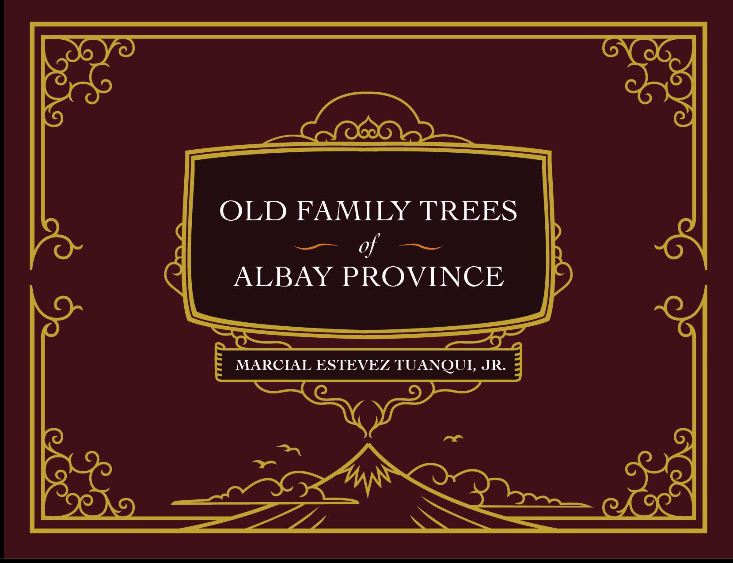 But because he vowed to protect his people, he pursued what is right even though this means cutting ties with the provincial politicians that were once his allies – the reason why he is running for governor and challenging the local dynast, the Garcias. Daraga in Albay has different natural endowments but during the first two terms of the late Mayor Gerry Jaucian, the municipal economy grew and local services improved. The systems introduced by Mayor Gerry and his passion to serve the municipality mutually reinforced each other. The mayor was lax, though, that his leadership was abused by interest-driven councilors. Mayor Gerry paid the price that he was not able to finish three terms during the first set of his service. But the point is: What Mayor Ver did can be replicated. One can also look into the cases of Irosin, Sorsogon and Naga City, Camarines Sur during the incumbency of Mayors Eddie Dorotan and Jesse Robredo, respectively. Irosin was a laidback municipality but Mayor Eddie was able to institute award-winning programs while at the same time improving municipal income making it second class from fifth class. The late Jesse was also facing pressure from the Villafuertes but he was able to overcome the challenge and make Naga City to what it is now. This is interesting. Kudos to Limay’s Mayor Ver. Keep up the good work. We need more of you in the government. Sana manalo siya. Siya pala kalaban ng Garcia sa Bataan. Tagal na rin ng mga Garcia. Totoo ba na bukod sa governor, meron din na Congressman at mayor na Garcia? 3 decades na ata mga Garcia sa pwesto. Di pa ba sawa mga tao sa Bataan? Convicted na yung namaray na si Tet Garcia ng graft di ba? Wish ko arog kaan ang mayor sa Legazpi. Mayor Rosal, ano na lamang?